The Georgia Department of Driver Services (DDS) has announced a new online service for Georgia drivers to reinstate a suspended driver's license. The Department of Driver Services’ (DDS) website enables Georgia Drivers to review their driving reinstatement eligibility, pay associated fees and reinstate driving privileges without a visit to a physical location of the Department of Driver Services. 3. Create an online account. After signing up, the driver’s detailed and personalized reinstatement information can be reviewed online. The suspended driver can print out the specific requirements needed for reinstatement; make payments online and have the DDS computer program actually reinstate their driving privileges. This modernization, should help drivers and also save taxpayers money by streamlining this process. However, as with any new technology, it will not be fool proof, so be smart when using it. Make sure you print out all confirmations and save them for your records. 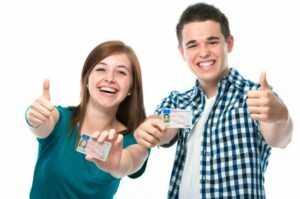 At A. Bishop Law, our Georgia Traffic Ticket Lawyer understands the importance of having a valid license. If you would like to hire us to help you, please Call or Email us about any questions you may have about GA DUI or License Suspension laws in Georgia.